Internet Explorer 9 - If I use your secure form pop up link, and then use IE9's tools \ print or even the print button on my form. 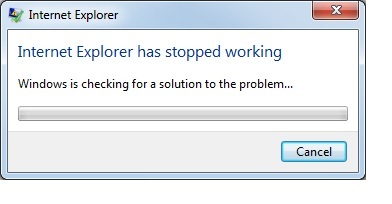 When you can press the print and it opens up the print dialogue box, you then select your printer and press ok, then you get pop up error "Internet explorer has stopped working, Windows is checking for a solution to the problem "cancel". It then reloads the webpage and you repeat the steps to print and the same thing happens again. Firefox - Also when I try to open https://secure.jotform.co/form/21837049019859 in Firefox I get a "This connection is untrusted". 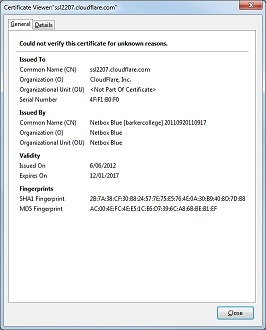 Then if I click on "I Understand the Risks", and click "Add Exception" , click get certificate, then confirm certificate it eventually opens the form. Is there a way around this? Also Firefox adds bullet points to the left of all fields, including the image banner I have placed at the top of the form. Is there a way around this? Safari - No problems, so far. In regarding your issue with your IE browser, can you try deleting your browser's cache / Temporary Internet files to see if it will fix the problem? While on your Firefox problem, the untrusted connection problem appears because your image banner in your form comes from a non-secure source (not HTTPS). Placing your image banner to an SSL-enabled site will fix your problem. 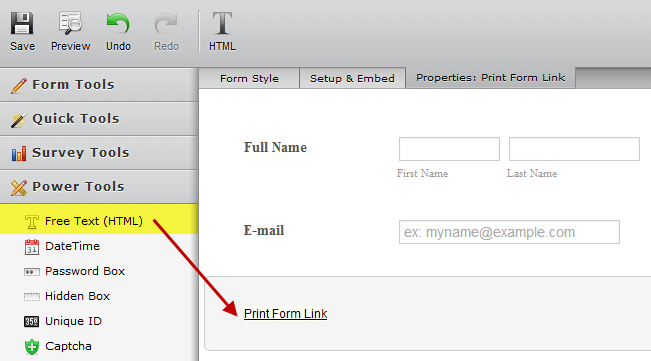 You may also upload the image on your form using the image form element under Power Tools on your form editor/builder. Continue with the file uploading and then use the image as your form's banner. When using the image tool, whether you try to use HTTPS or HTTP, the image link will follow. Which means if you use the HTTPS version of your form, the source of the image will be on HTTPS as well. If you need further clarification on this matter, please let us know. 1. IE9 crashing - deleting cache worked. 2. Firefox image - this solution worked. - If I select "Source Code" and pasted this into the body of my web page. Then I don't know if your end did anything, but I deleted the cache and now it prints perfectly every time. - But if I select Setup Embed \ Embed Form \ select "secure" and copy the code and then paste this link into my web page, then preview my page and open the link, then try to print the form, it crashes IE9. Could you please provide us with the URL of the page where the form is embedded? Have you tried embedding the form source code between the html <body> </bodi> as is? Do not edit/move elements on top anymore.. i.e styles and metas. I could not reproduce the crashing in IE9 when I view using the URLs you provided for your forms. Please inform us if issue persists. I am sorry. You are correct, it does crash when PRINT button was used. I was refering to another thing otherwise... I did not realized that this post of yours was similar to the one I created a ticket previously already. 1. Firefox displaying bullet points - If use the secure form link, then the banner image will not show and every field has bullet points. If I don't sure the secure form link, then it works fine. How can I get Firefox to display correctly? 2. 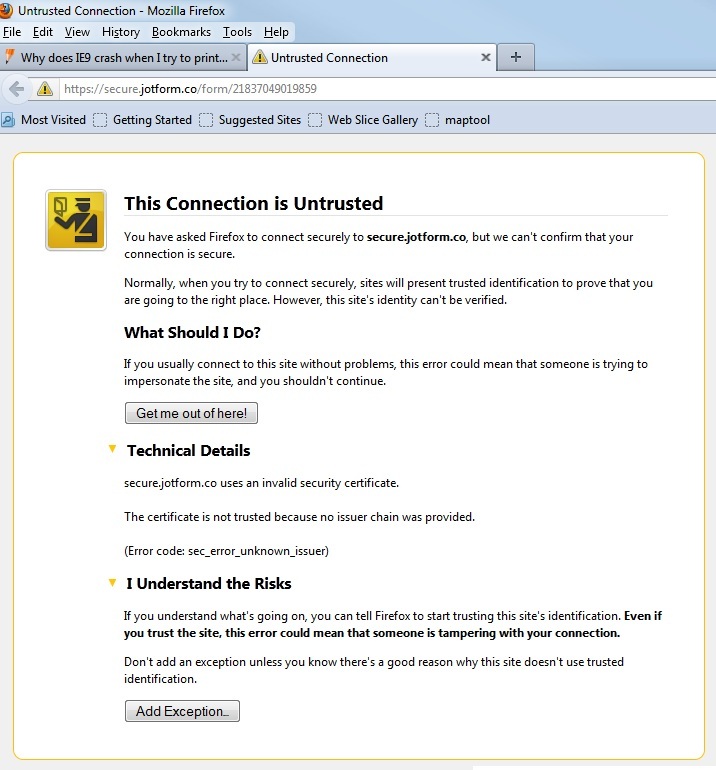 Firefox "This connection is not trusted" comes up when you try to navigate to the https://secure.jotform.co/form/21837049019859. How can we stop this from happening for every visitor to the secure form? Once we solve these 4 things, then I should have a workable form. I await your assistance. We apologize for your inconvenience LisaBirchill. We still have not yet heard from the developer who has been assigned to this case as of yet. As soon as we do, we'll sure to let you know. In regarding your Firefox issue, are you still experiencing the problems such as the banner not showing, the "This connection is not trusted", and the displaying of bullet points? Yes with the secure form version we are getting issues as advised. 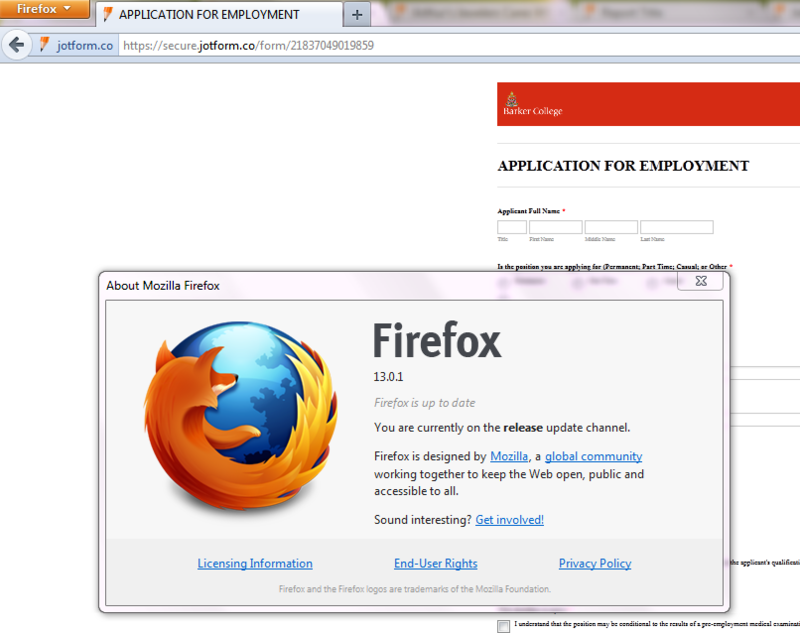 I can not reproduce these problems in up to date Firefox 13.0.1. What version of Firefox do you use? I would like to recommend you to clear your cache and cookies to see if that makes any difference. Bullet points may be related to missing CSS files. Are you able to open the following CSS links? Then if you add the exception, you never get it again. But what concerns me is the visitors to my form may not be as trusting. How can I get you to have secure.jotform.co to have a trusted issuer? As for the IE9 print button crashing there was already a ticket created for it on one of your similar post. We can wait when the dev team updates that issue. Unfortunately, we cannot submit a ticket yet for the Firefox related issue since we could not reproduce it. Btw, in your latest reply, there was no included image in your post... can you please try uploading it again where we can view it..
Another suggestion I can offer is, -- if you can try another secure form... using your FF browser. Check if using other secure forms in your account will behave similarly when opened using FF browser. 1. Firefox displaying bullet points - If use the secure form link, then the banner image will not show and every field has bullet points. If I don't use the secure form link, then it works fine. How can I get Firefox to display correctly? a. After additing the exception, I can see the form with bullet points and it now has no banner image at the top. a. I tried another secure form with Firefox and had the same problem. b. It only works if I add the exception. Thank you for testing on your other secure form using FF. By chance, are you using a 64-bit OS? Would you be able to share to us your OS configurations, at least on the software end. 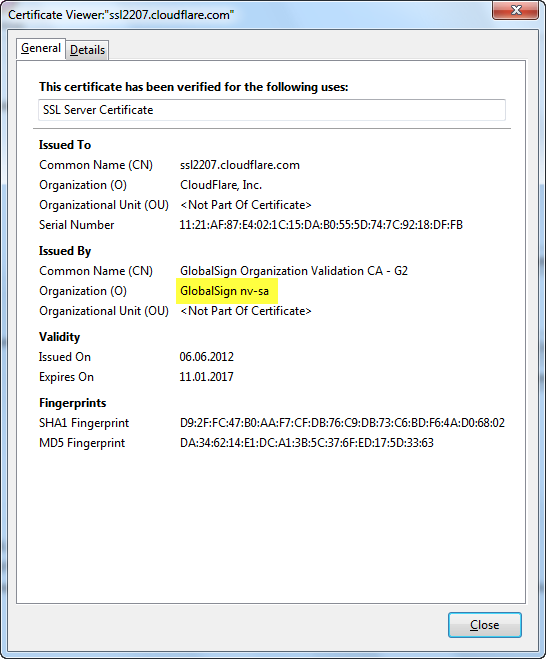 I have the same configuration, and SSL certificate is completely fine from my side. For some reason, SSL issuer is not right in your Firefox. It should be GlobalSign. You may also try the following URL with "www" to see if that makes any difference. The problem may be related to some Netbox Blue's product used from your side. 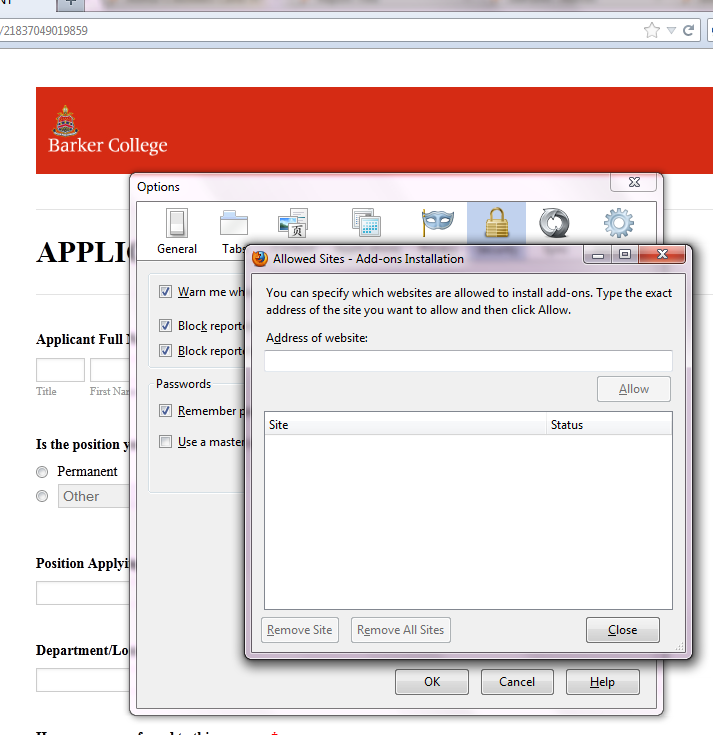 You can also try to access your secure form from different computers and ISPs. 1. www added had the same problem from behind "Netbox Blue". As Netbox Blue does ssl packet inspections. Should we try to add your site as an exception and see if that resolves the issue? 2. Then tried from an outside/external connection and firefox 13.0.1 works seamlessly and even prints without crashing like IE9 does, no bullet points and the banner at the top of the form is all there. 3. IE9 print button crashing - waiting on your dev team updates that issue - but I cannot find that forum? As for #3.. Yes, I already submitted a ticket for it to our dev team. Since, I was the one who created the ticket, it was set to private. Reason you could not search for it in the public forum. 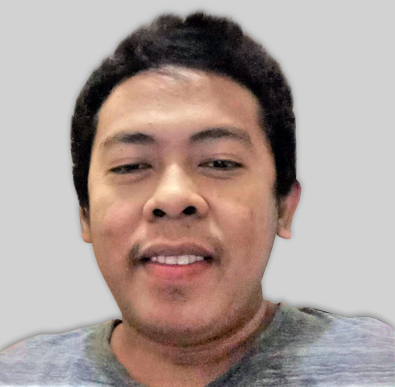 Nonetheless, this thread will also be updated when that get fixed, since I pointed this thread also as the source of that issue. I hope this will solve your problem in Firefox. 3. 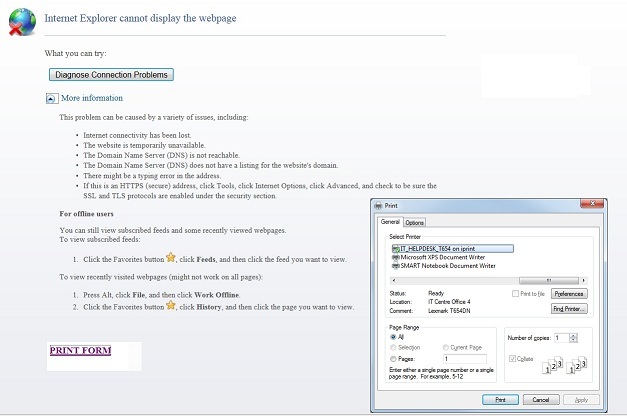 As a temporary work around, you can try to use a custom Print Link in order to solve mentioned crashing issue in IE9. I am sorry, I have made some more tests and it seems that custom print link will not solve your crashing issue in IE9. 1. 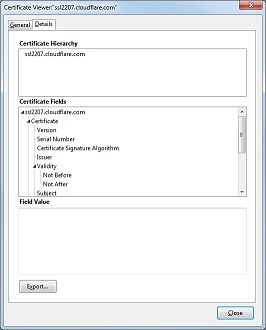 Added those domains as exceptions jotform.co s3.amazonaws.com static-interlogyllc.netdna-ssl.com and now form displays in firefox without bullet points. 2. In Firefox banner image is still not showing. It there another domain that this uploaded image sits on? 2. IE9 crashing on printing - waiting on your Developer/Technician to advise. As for the print crash bug, may I ask you to try clicking the Print button on this test page? Does your browser (IE 9) still crash? I cannot get to the "test page" url as it is blocked by Netbox Blue as your url was blocked by the Global Blocking Policy as it was "uncategorised". I did try on an outside line and it did not crash IE9. I can open the image url provided from an outside line, and inside behind our Netbox Blue firewall. But it still does not show when you open the form. Image is being requested via www.jotform.com, and loaded via s3.amazonaws.com. 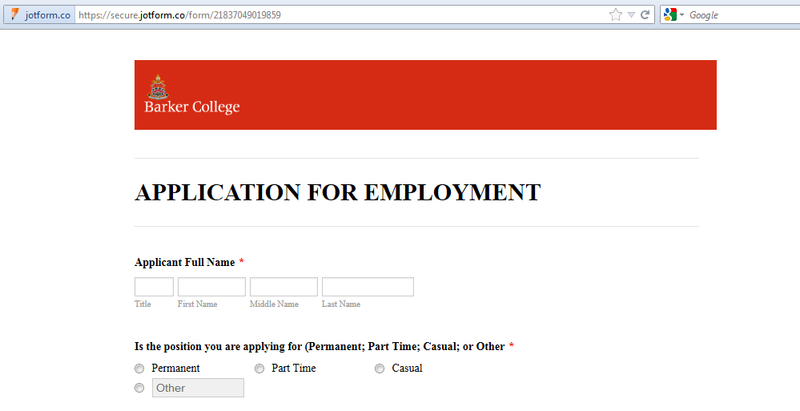 Please also add www.jotform.com address to the exceptions, then re-check your form. IE9 crashing - Can you advise where the developers are on this, as I need to go live tomorrow. Hi, the developers are on this since it had a ticket already. I understand that we haven't got the info on resolution as of this time,since the dev team are also extremely busy, possibly on the first on the lists issues submitted to them. What I can advise for now is to try an alternative temporary resolution, such as using other browser Chrome, FF, or Safari, (IE 8 work also). You may try to inform and anticipate your would be users by posting some relevant info regarding the website or the form. Example, you can also put some annotations or context on the form informing the user that IE 9 is not the recommended browser and if possible try using alternative one. Thank you for your understanding. Please inform us if you have further inquiry. Thanks for your message. Your question seems to be unrelated on this thread. We'd appreciate if you could open a new thread for your question so we can help you properly.